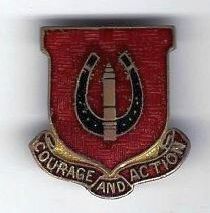 The 26th Field Artillery was organized in August 1918 at Camp McClellan, Alabama. The regiment served within the continental limits of the United States during World War I and was demobilized on February 9th, 1919 at Camp McClellan, Alabama. In 1923, the 26th Field Artillery was reconstituted as an inactive unit of the Regular Army and allotted to the Fourth Corps Area. In August 1940 it was reactivated as part of the Field Artillery of the Ninth Infantry Division, First Army, at Fort Bragg in North Carolina. On October 1st, 1940, the three battalions of the 26th Field Artillery were re-designated as three separate battalions under the Commanding General, Ninth Division Artillery, and the old first battalion then became the 26th Field Artillery Battalion. 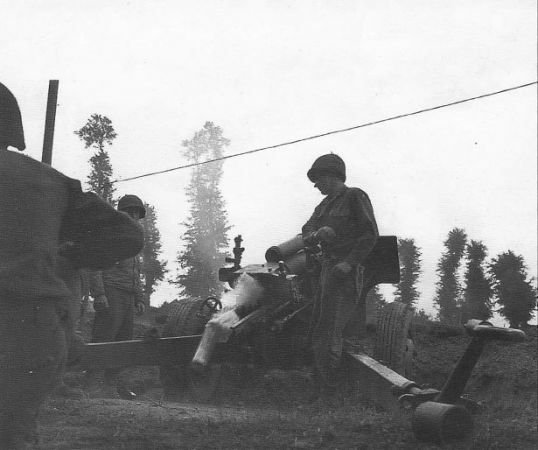 As part of the Ninth Division, the 26th Field Artillery battalion supported the 39th Infantry Regiment as one of the Division combat teams, using 105mm Howitzers.